United States Patent and Trademark Office (USPTO) Attorney Rebecca Povarchuk joins us this month to discuss ongoing and developing legal issues that arise during trademark prosecution. Those issues include compliance with USPTO policies and procedures, the Madrid Protocol, and the Trademark Act of 1946. REGISTER HERE by June 7th at noon. Ms. Povarchuk practices in the USPTO’s Trademark Identification and Classification Policy unit, where she specializes in compliance with applicable U.S. and international law and agreements, namely the Nice Agreement. 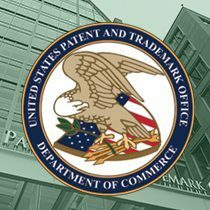 Having spent more than ten years of her career at the USPTO, Ms. Povarchuk will share her expertise in ID/Class matters, Nice Agreement regulations, TM5 identification, and ex parte examination of trademark applications.